During the month of October we will be saying a big THANK YOU to all of the fantastic people in our community who have supported the development of These Dog Days. By sharing your stories, you have helped create what we think is a great resource for dog owners. 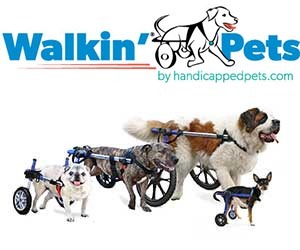 We will be giving away some of the fantastic products that you have told us make life easier for disabled dog owners. And we'll be doing this every week during October! To be in the running, make sure you are following us on Instagram and stay tuned for further details!